5 Inventions That Make Working Out Fun | JustRunLah! Some fitness routines can get mundane and boring. 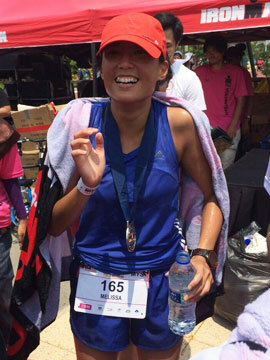 Sometimes we need something to spice it up – to make working out fun and interesting. 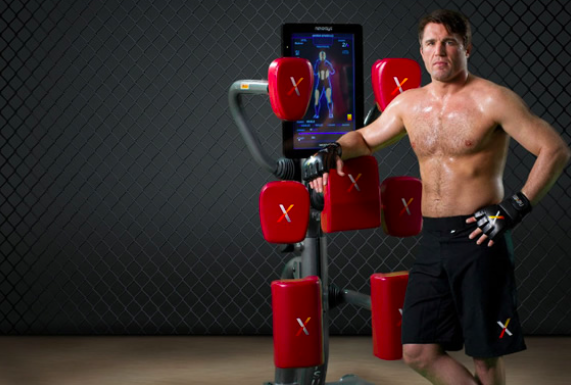 Here are 5 really cool inventions that will change the way you see fitness. They take working out to a whole new level of fun! This is indeed a fitness revolution. With boxing, you burn tons of calories. It gives you a high intensity workout mixed with martial arts. Your mind has to be alert, making the workout a whole lot more interesting. You probably won’t even notice an hour flying by. It really works your body, mind and soul. We all love climbing things when we were kids. The Laddermill is a never-ending ladder. Imagine climbing a ladder, that never ends? It’s a great workout that works both your upper body and lower body and gets your heart rate up as well. It’s a strength and cardio combo workout that brings you back to your kid days. 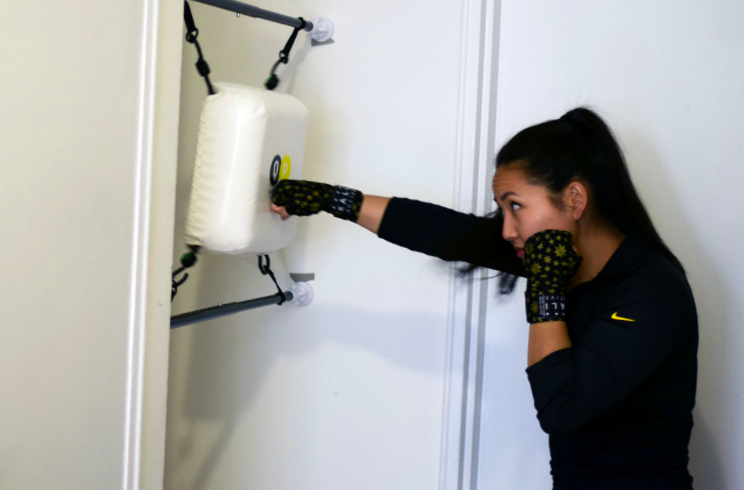 Quite punch is a compact boxing pad that conveniently fits in any doorway. This means, you can workout anywhere – be it at home or even at work. You get in a super upper body workout while working your heart at the same time. No excuses now – you can workout, anytime, anywhere! You’ve heard of the treadmill, and you’ve heard of the climbing wall, and when they are both combined, we give you the treadwall. 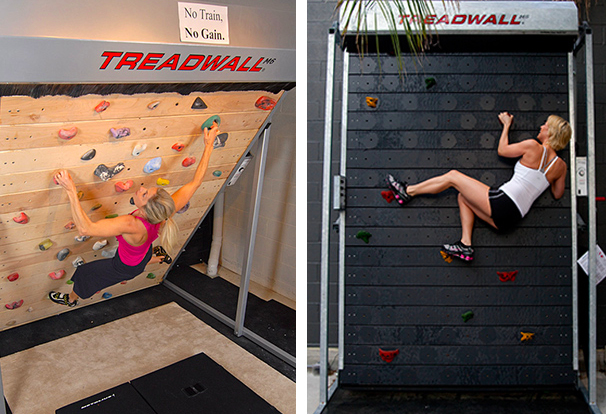 The treadwall, is a climbing wall that never stops – it works like a treadmill. 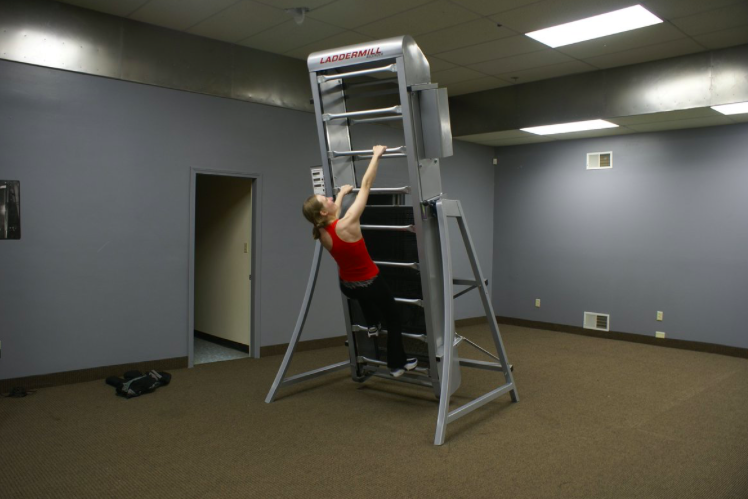 It is a vertical workout that gives you a great upper body workout and the fun adrenaline rush element at the same time.